Knowing how to buy gold bullion at the lowest possible markups, and with the fewest fees charged is important. This means buying as much as possible all at once, so that you pay less. The gold bullion price today is astronomical, which means it may be a good time to liquidate your prized possessions that you have been holding onto for years. The first step is knowing what the spot price of precious metal is on a day you are anticipating the sale, check various online dealers to see who can give you the highest price. Please keep in mind that some precious metals bars might need additional assaying services in order to verify their authenticity and may incur additional dealer fees. Precious metals dealers will buy if you are planning to sell gold bullion coins or bars, but they will not normally offer the best price for your precious metal. 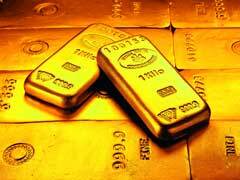 Another option is to find a private buyer to buy your gold bullion for sale. You can do this in a few different ways. Some traders use eBay, and sell gold bullion bars and coins on auction. This can be a way to get more than what the dealers offer, but it is not foolproof and does not guarantee a good gain every time. There are also some dealer websites which offer auctions so you can sell your gold privately as well. If you want to sell gold bullion online and see a great gain, then you need to be patient at times. The market price of gold fluctuates, and has been on the rise at amazing rates for the last year or so. If you are patient the price will probably continue to climb. The price you get during the sale will determine your gain. If you want to wait until the price is high then you will see a bigger gain when you do finally sell. Many traders recommend holding gold for the long term, until the gain you will realize is large. Another aspect of selling your precious metal bullion that many investors forget are capital gains. If you have been in the possession of this investment for more than a year, you are obliged to pay a capital gains tax at a whopping 28% tax rate. Since precious metals bullion investment is considered “collectibles”, the tax rate is higher than normal 15% tax rate.